Dr. Cox has over 20 years of thought leadership in developing and applying empirical data in order for organizations to better understand cultural and leadership challenges in the workforce such as ensuring safety behavior, diminishing sterotype bias and mitigating generational differences. 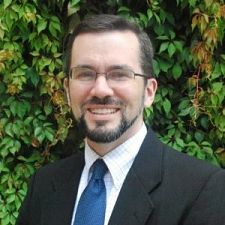 Cody’s research and work as to how leadership should anticipate and deal with workforce challenges has been recognized in having published over 19 peer-reviewed papers and as a frequent speaker at national conferences on the topics of cultural stewardship, leadership and workforce engagement. Cody Cox holds a PhD in Industrial/Organizational Psychology and Organizational Behavior from Rice University. Dr. Cox won The National Society of Leadership and Success Excellence in Teaching Award in 2015 and the Greehey School of Business Research Award in 2018. Dr. Cox is an active member of the Society of Industrial Organizational Psychology, SHRM, the Academy of Management, and the San Antonio Human Resource Management Association.